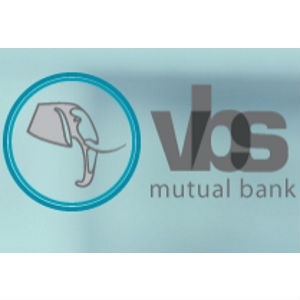 The former chief operations officer of VBS Mutual Bank ensured R18m was paid to the institution to try to solve a liquidation problem and cover up massive fraud, it was claimed in the South Gauteng High Court on Wednesday. This was alleged during an application to try and have the estate of Robert Madzonga, VBS’s previous chief operations officer and the group executive officer of Vele Investments, provisionally sequestrated. On Tuesday provisional sequestration orders were granted against Tshifiwa Matodzi, the former chair of VBS’s board of directors and also the director and chairman of Vele Investments, as well as Phillip Truter, the bank's chief financial officer; and Phophi Mukhodobwane, VBS’s general head of treasury and capital management. Vele Investments, VBS’s main shareholder, which allegedly also benefited from alleged fraud carried out by bank executives, was also liquidated. It emerged in court on Wednesday that Mukhodobwane wanted to appeal the provisional sequestration; however, it may be argued that this cannot happen, as the sequestration is provisional and an appeal therefore cannot be applied to it. Andile Ramavhunga, VBS’s chief executive officer, may also be placed under provisional sequestration - this was argued in court on Tuesday and a judgment is yet to be delivered. On Wednesday Michael Antonie SC, who is legally representing the curator in the VBS matter, said that in February 2018 Madzonga had seen that a total of R18m was paid to VBS. Madzonga, he said, had stated this in a television interview. The payments were made in the month before VBS was placed under curatorship - SizweNtsalubaGobodo Advisory Services (Proprietary) Limited, represented by Anoosh Rooplal, was appointed to deal with this. Antonie on Wednesday said the payments totalling R18m to VBS were unusual in that Mukhodobwane, as a senior VBS staffer, had contacted Madzonga, in his personal capacity and at the same time head of the bank's biggest shareholder, asking him "to solve the liquidity crisis at the bank." Antonie then asked why the chief executive of VBS’s main shareholder had seen that the money was paid instead of calling a board meeting to find out what was happening at the bank. "Instead, what Mr Madzonga does, is he takes it on himself personally to save the bank. Why?" Antonie asked. He answered his question saying that it was because if the payments were returned, personnel at FNB - VBS had an FNB bank account into which some of the money was deposited - would have phoned the South African Reserve Bank and sounded the alarm that VBS could not pay its creditors. "If FNB did that at that point, then the game would be over," Antonie said. "It only makes sense in the context of a cover-up." Antonie said there was about R63m in a Vele bank about. "Why doesn't he use that [to try and deal with the VBS liquidity problem]? Because it's a fictitious deposit," he said. At least R1.5bn was allegedly looted from it and used by executives who bought, among other items, luxury vehicles. Antonie on Wednesday said Madzonga’s assets included two Porsches, a Rolls Royce, an Audi R8 and two immovable properties. He said Madzonga had other assets. The sequestration proceedings are continuing.